There is a big misconception in the public’s eyes that real estate agents who sell listings (on the seller’s side that is) are actually getting their house sold. You’ll be surprised 95% of them actually do not sell your house. Most agents know very little about how to actually get a house sold. The fact is that 95% of real estate agents who put a house for sale, do just that and only that, take listings. Taking listings is a totally different thing than selling a house. As a licensed real estate broker who also happens to be a web marketing guru I see this everyday, all day. There was a time when a real estate agent could know how to sell a house, maybe because they knew something more than other agents about how to expose your house to more potential buyers than another broker did. Maybe the listing agent or broker you chose in the 60s,70s,80s & 90s had access to more people because of the circle they ran with, the clubs they were members at, the news outlets they had relationships with etc. Well, those days are long gone. With the advent of the internet came a gigantic paradigm shift in how marketing real estate to potential buyers is effectively done. When a seller hires a listing broker/agent they do so for usually a few reasons, but for this case we’ll use residential home sales, because commercial is slightly different. Most sellers for residential property hire an agent because they believe their agent, company, or brokerage knows how to go find buyers that may want to potentially put an offer to purchase their home. The other reason they hire an agent is under the hopeful assumption they may know how to negotiate well on their behalf. If their house has some issues that potentially could make their property less desirable then the agent presumably has the experience to know what to do to help offset and improve the marketability of the home. Lastly, and rarely, pricing. Some sellers hire agents because they have no clue what the asking price should start at. Ok, now that we have identified the primary reasons why home sellers usually choose an agent I’ll explain why most agents don’t know diddly about how to sell and only know how to take listings. Which is exactly what you DO NOT want. Residential real estate transactions customarily begin like this. You as the seller will hire an agent to sell your house, to “market” your house, negotiate, oversee the contract and help see it through to closing etc. your agent taking photos with their phone (today’s camera phone technology is so amazing), that’s ok if and ONLY if they know a little about the basics of photography too, which 98% of the time is NOT the case. IF they don’t take the media themselves, then they’ll hire a photographer from $50-$300+/- depending on where or what the property is. They will put the property on MLS with the photos (if you’re lucky, video). They will disseminate the MLS URL (web link) of the property on a few Facebook pages, their instagram account and wait for a buyer’s rep to bring a potential interested buyer(s) to view the home and bring an offer. Taking listings is NOT selling a house. You hired them to go find buyers when in fact the buyers agent found the buyers, not your hired agent. Hiring a photographer (in some cases not) and putting a house on MLS is not selling your house. Waiting for a buyer’s agent to bring the buyer is NOT selling a house. “Back in the day”, there were real estate companies that would take out pages of media marketing in local magazines, the newspaper, maybe tv commercials even, etc., and that’s why people used them because they were actually spending money, time and effort trying to find buyers for you. They had the best marketing, they hired media companies, they had media produced for you (mostly still photos) and distributed out more than others. SO, they were deserving of the listings. They knew where and what people were looking for (presumably). However, since the internet and specifically the MLS, is the world’s way of broadcasting out data, information, media, photo and in this case real estate for sale. That leads us to this. Ask yourself, heck even ask your agent, or your agent’s brokerage: if they know anything about internet marketing? Because if not, then you’ve hired the wrong brokerage and/or agent. Unless, your agent or your agent’s company is spending money/time on properly managed and configured SEM campaigns, social media campaigns, and/or PR then they are pointless and they definitely are not selling your house. If they have their own full time marketing pro on staff, or have a contracted person then they might be worth considering, but in my experience that is rare. Very large, high volume brokerages sometimes will have one (maybe two) IT / marketing person. But, waiting on a buyer’s agent to call you with a buyer is for sure not selling. That’s just letting some other agent find a buyer for your seller’s house. 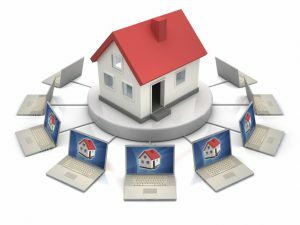 Marketing in today’s real estate environment is web driven period. That’s it. Buyers search the web for property, end of story. 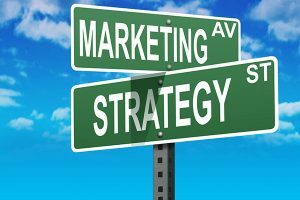 Hopefully, your real estate company or agent knows how to navigate the intricate world of web marketing and is doing it. Personally, when I take listings for clients I create a custom marketing plan with metrics, analytics, walk through high resolution video, high resolution photos, drone video, and sometimes 3D (depending on the scenario with the property). Fortunately for my sellers, I have 4 IDX real estate sites for my local region (this one you’re reading on, is for entire state of SC) that all rank extremely high and on the first pages of Google (87% search market share), and Bing (11%) organically. In addition to 15+ other smaller “feeder” domains. All of which combined make up avg page views of 800+/- per day. So, I don’t necessarily have to always devise a strategic plan for marketing a property, but I am rare in that regard compared to real estate agents. When warranted I will design a method to attract more buyers to consider the property. As you can see from the image above, a Google search with the query: waterfront condos for sale charleston sc was done, four of my websites were listed in the first page of Google’s SERP organically starting in the 4th position above both Realtor.com and Trulia.com. So ANY and EVERY prospective buyer who is searching for waterfront condos in my area will never miss my seller’s listings. EVER. Thus insuring my clients get the best and most visibility to their property (if it’s a waterfront condo of course). Sadly, what I see the more often than not is the very accomplished, busiest real estate agents are just the ones that are most well connected, those who do a lot of networking, and/or have been doing it a for so long they have a lot of referral business. That’s great for them, glad to know they are doing well taking a lot of listings. Hopefully, with all their business they can afford to provide their seller clients the service they deserve, and are spending the money and effort to market their clients homes as they should. Unfortunately, though that’s not what I observe. It is very unfair for their sellers if they aren’t properly marketing their properties. So, the next time you’re interviewing agents to sell your house for you, inquire about how they are going to market your house, WITH proof. Ask them to show you the receipts from Google, Facebook, or a marketing firm from previous listings. If you’re listing agent can not provide data analytics on views of your property online, or the brokerage they work for can not, then you may want to interview more agents.